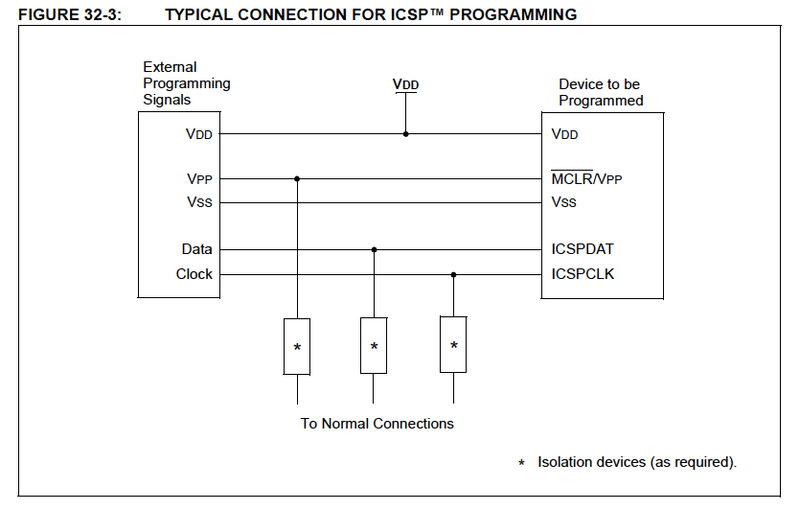 The PIC® MCU device is programmed with In-Circuit Serial Programming (ICSP). Two methods are available: High Voltage mode and Low Voltage mode. In either case, the device reset line becomes part of the programming control. After a programming session the device will be released from any reset control and will resume normal operation when it is powered up after programming is complete. The device will be put through a reset similar to a Power On Reset (POR) after the programming is completed. This has the same effect as completely disconnecting power from the device and then reconnecting power. Since the programming tool or software algorithm may maintain power to the device after programming, this reset is used to guarantee a clean POR reset for the application. For more information on 8-bit reset options visit the Reset Options wiki page.